We thank God for His continued blessings on the Food For The Poor 5K. Each year, we see His hands all over this event and it really has been a wonderful experience! We are now at year number 5 and this number symbolizes God's Grace, Goodness and Favour toward humans. This year, we will again be focusing on housing and sustainable income. Our aim is to lower the poverty level by not only supplying "fish" to the less fortunate but also teaching them how to "fish". Our slogan is "Run For Ja", improving lives one family at a time. Race packets must be collected before race day from Emancipation Park, New Kingston on Thursday and Friday, May 16 - 17 from 11:00am to 5:00pm each day, and on Saturday, May 18 from 10:00am - 2:00pm. THERE IS NO NUMBER PICK-UP ON RACE DAY. The Tru-Juice Cross Country 5K returns on Sunday, June 2 to take you off-the-road and on-the-farm for a day of fun and competition for runners, walkers and mountain bikers. Held in Bog Walk, St. Catherine, the 5K Run & Walk plus a 20K race for bikers, features MYLAPS chip timing, country hospitality and post-race activities including tastings, refreshments and a dip in the farm’s pristine river! Hosted by Trade Winds Citrus, funds raised are in aid of Linstead Hospital in St Catherine. 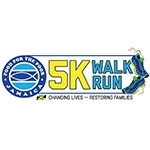 Race packets must be collected before race day from Running Events Jamaica, 87-89 Tower Street, Kingston on Thursday and Friday, May 30 - 31 from 11:00am to 5:00pm each day, or on Saturday, June 1 from 10:00am to 2:00pm. THERE IS NO NUMBER PICK-UP ON RACE DAY. Participants are tested on a 6K course with rugged terrain and 20+ obstacles that include scaling 8" walls, crawling under barbwire, crossing monkey bars, and climbing rope climbs. The race is organised in heats departing every 20 minutes starting at 7:00am. For those who excel in their divisions, the Guardsman Challenge is a qualifying race for the 2019 Obstacle Course Race World Championships (OCRWC) in UK and the 2019 North American OCR Championships in Stratton, Vermont, USA on August 9 – 11, 2019. Race packets must be collected on Thursday, July 25 - Friday, July 26 at Guardsman Group, 107 Old Hope Road, Kingston 6 between 11am - 5pm each day. THERE IS NO RACE DAY PACKET PICK UP. An event dedicated to children 9-14 years old. Course includes kid-friendly obstacles, such as cargo climb-overs, hurdles, mud crawl and more! Give your kid the chance to release their inner beast. Teams of four (2 males, 2 females) are tested in physical and mental challenges to determine the top ten teams that qualify for the semi-finals. 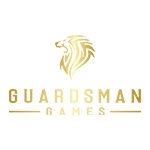 The finals will be an Obstacle Course Race to determine the Guardsman Games champion. Check if 18 years and older on RACE DAY and you choose NOT to provide your DATE OF BIRTH. This option makes you INELIGIBLE for age group awards, if any. Do you or any of your team members have a special medical condition that you need us to be aware of? If yes, kindly explain.